In February 2019 the main event for the year was held at Göteborgs konserthus. The theme for the yeat was Disrupting status Quo. See the talks from the event ! In November 2018 we organized our Salon "Mind body and soul - how to deal with mental and physical health in the digital age." The event was located at Happy M Kitchen. See the pictures from the event! "The Ideas that changed the game". Organized by TEDx Göteborg, located at Convendum. 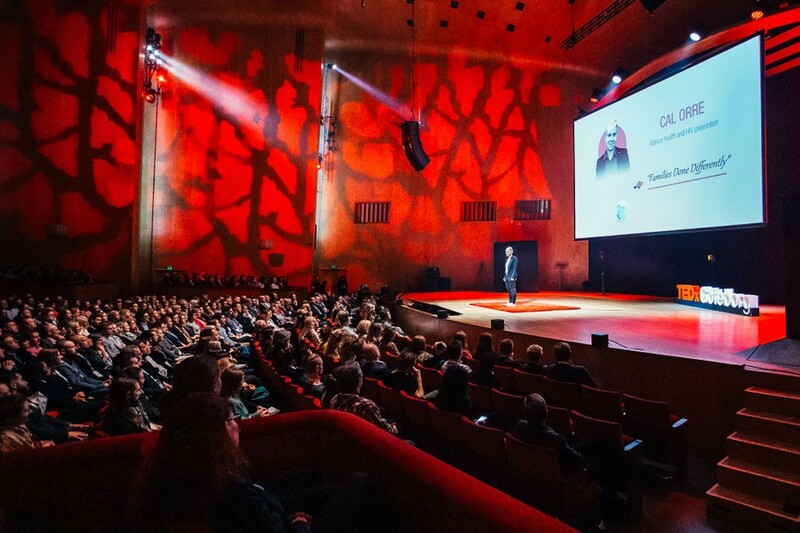 TEDxGöteborg is a local non-profit vibrant community of thinkers, makers and doers who are passionately devoted to spreading TED vision and values. Our mission is to inspire people – to connect, create, share, and care. TEDxGöteborg was founded in 2009, and since then we have organized more than 10 events. Make sure you don’t miss the next one! If you want to get a feel for what it is all about, check out some of our speeches, and photos from previous events. A journey into beatboxing as well as life, Dave Crowe will talk about people he met around the world and sour lemons that turned out to be sweeter than honey in retrospect. Graphene. These just one-atom thick carbon structures is without doubt the most buzzed-about material in the world of science today. Mikael Fogelström, Professor at Chalmers, coordinates two large national research projects on graphene science. Listed by The Guardian as one of the world's 100 most Inspirational Women, Jasvinder Sanghera has been fighting forced marriages and honour based abuse -- both in her native Britain and internationally. Loneliness happens to be one of the greatest life hazards of our times and touching is a key element in connecting with people and forming relationships. Helena Backlund Wasling and her team of researchers has mapped how a soft touch activates the parts of the brain that controls our emotions.